(9) Finally, an important point that did not come up is the alleged gassing and body disposal at the 3 Reinhardt camps (Belzec, Sobibor, Treblinka). This is a huge problem for traditionalism, and Ricardo, in particular, has gone to outrageous lengths to construct explanations. For example, he says that the carbon monoxide source was gasoline engines, not diesels (to get around the troubling fact that all experts today mention diesels, despite the fact that they produce far too little carbon monoxide gas!). But this fails because (a) the leading witness for gasoline, Reder, explicitly stated that the exhaust gas was “evacuated…directly into the open air, not the gas chamber”!, (b) the Nazis would certainly have tried to use ‘producer gas’ systems, which are not engines at all, but rather small furnace units that produce high amounts of CO—but not a single witness mentions this, and (c) numerous witnesses describe the victims as ‘blue’, but CO poisoning results in a distinctive red or pink coloration, not blue; it could not have been missed. "Gone to outrageous lengths to construct explanations" – if this were not somewhat-less-than-honest nonsense, one might think that Mr. "Dalton" actually has a sense of humor. Now, what "experts today" that "mention diesels" is he talking about? Have historians or judges, who casually mentioned that the gassing engine was a diesel engine because that was what the witnesses happened to have stated and they didn't really care (why should they have cared, unless exactitude as to the type of engine was material to reconstructing the crime and/or establishing the individual deeds and guilt of defendants?) all of a sudden become technical experts on engines in Mr. "Dalton"'s book? To be sure, the Holocaust Denial on Trial site of Emory University, on its Learning Tools: Myths and Facts page, still devotes much space to discussing the plausibility of gassing with diesel exhausts. Quite unnecessarily, if you ask me. The only "experts" in this context that matter are the men who either operated a gassing engine or were otherwise familiar with such engine, because they installed it or serviced it as mechanics or because they were in charge of bringing up the fuel for the engine. And as has been pointed out in Sergey Romanov's blog Why the "diesel issue" is irrelevant and becomes apparent from my list of Testimonies about Engines used for Homicidal Gassing, all these knowledgeable witnesses spoke of gasoline engines. No, it wasn't just Rudolf Reder. The list is somewhat longer, even without taking into consideration Chelmno extermination camp and the Einsatzgruppen gas vans. It includes Polish electrician Kasimierz Czerniak, who helped to establish the motor room at Belzec in 1942. German historian Peter Witte writes that Czerniak, in his deposition on 18 November 1945, described a petrol motor of approximately 200 or more PS, from which exhaust fumes were led away over ground pipes. The list also includes Erich Bauer, Erich Fuchs and Franz Hödl, the gassing engine operators of Sobibor who testified before a German court and must have known what they were talking about. According to Witte, "Bauer and Fuchs, having been professional motor mechanics, simply quarrelled during the trial about whether it was a Renault motor or a heavy Russian tank motor (probably a tank motor or a tractor motor) having at least 200 PS". 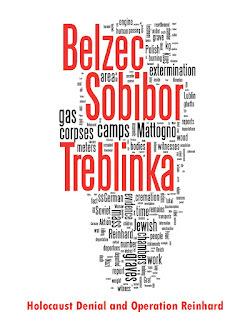 Regarding Treblinka there are unfortunately no such testimonies by gassing engine insiders, but even there at least two witnesses (Ukrainian guard Ivan Shevchenko and Jewish prisoner Oskar Strawczynski) expressly mentioned a gasoline engine. As to Belzec's Rudolf Reder, he may have got some things wrong when observing or remembering the gassing process, but this doesn't exclude his having accurately described the type of fuel he was required to bring up to the gassing engine. Given that you are so demanding as concerns sources, I would expect you to have relied on primary sources, or on reputable secondary sources, for your claim that producer-gas (which I've learned had some significant safety inconveniences from the user’s point of view, apart from the possibility of using producer gas being a moot issue where all evidence points to the use of engine exhaust, independently of that being or not the "best" solution) would have been "much more effective" than gasoline exhaust. As an alternative which they were required, by law, to know was extremely deadly, the Germans had producer gas generators--18% to 35% CO--on hundreds of thousands of trucks. Those generators were extremely dangerous--everyone had to know that because gas leaks were not only toxic but also highly explosive! When the engines were shutoff, the generators would keep on generating until the internal fire could be extinguished. The Nazis wouldn't have risked gassing themselves or blowing themselves up, would they? The corpse discoloration issue, which is not as linear as Mr. "Dalton" presented it in his interview (even with gasoline exhaust the people in the gas chambers may simply have suffocated from lack of oxygen before they could die of carbon monoxide poisoning, which would explain the "blue" color mentioned by some eyewitnesses, the pink-red discoloration of fatal carbon monoxide poisoning only shows some time after death and thus not necessarily when eyewitnesses observed the corpses inside the gas chambers, and it doesn't occur at all or not very prominently when people are suffering from anemia or other conditions induced by malnutrition) have been amply discussed on the RODOH forum, last on the thead DEMJANJUK: Scapegoat for Jewish Madness starting with my post 11805. On that thread you'll have the pleasure of meeting one of the "Revisionists" eulogized by "Dalton" as writers of "serious, dedicated works", Mr. Friedrich Paul Berg. In the next paragraph of item (9), Mr. "Dalton" does me the favor of summarizing the somewhat-less-than-honest references to two of my articles in his book, thereby saving me the work of commenting those references one by one. Thank you, Mr. "Dalton"! Ricardo also holds to impossible figures like: average gas chamber densities of 28 persons per square meter (roughly, 3 feet by 3 feet! ), and 15 corpses per cubic meter of grave space. Most ridiculously, in discussing the burning of corpses on a metal grid, with wood, that as little as a 1-to-1 ratio (wood to corpse mass) would suffice to burn the bodies down to pure ash. Imagine this: that a 100-pound corpse, partially decomposed and perhaps frozen, could be burned to pure ash—with 100 pounds of wood! In reality it would take perhaps 500-1000 pounds of wood, under ideal conditions, to approach this. And yet we are to believe that 1.7 million bodies were disposed of this way, in a matter of a few months. I think he loses all credibility with such claims. Average gas chamber densities, Mr. "Dalton"? Provan just "claims", according to Mr. Dalton – as if Charles Provan had not thoroughly documented his experiment, including photographs thereof. Casting a baseless slur on Provan’s experiment, "Dalton" then invites his readers to sort of repeat the same. Readers are encouraged to do that indeed and report their results, with test groups as similar as possible to Charles Provan's test group. The key question is: to what extent can Charles Provan’s test group be considered representative of the "population" of the Belzec mass graves? I argued that it was representative, based on two eyewitness testimonies whereby transports to Belzec consisted mainly of children, documentation whereby Belzec was a destination for unemployable Jews, and Provan’s observations (the former based on historical literature, the latter on a contemporary anthropomorphic study) that Jews killed at Belzec were emaciated due to the lack of food in the ghettoes in eastern Poland in 1942 and of comparatively small stature. In a classic straw-man exercise, Mr. "Dalton" mischaracterizes my argument as implying that the Jewish victims of Belzec were "miniature people". He is obviously playing to the average "Revisionist" here. In his response to my original article about his assessment of Belzec archaeological research (original Italian version; English translation), the "Revisionist" movement's flagship Carlo Mattogno challenged my thesis that Provan’s test group was representative of the people buried in the Belzec mass graves by arguing that according to Holocaust historiography, Belzec was a camp of total extermination, without any distinction between those able and those unable to work, for which reason children couldn't have made up a larger proportion of the deportees than they do in the general population. In my rejoinder of the discussion with Mattogno, I demonstrated that this was only true for the second phase of the Aktion Reinhard(t) operations, starting in August 1942 (Belzec had been operating since 17 March of that year), and that even in this second phase, due to certain particularities of the area that most deportees to Belzec came from, the proportion of children among the deportees must have been higher than average. Independently of this argument, I also examined Mattogno's proposition that the average composition of every three people among the deportees to Belzec was two adults weighing 70 kg each and one child weighing at least 25.4, which makes for an average weight of 55.1 kg and a burial density of 7.6 (rounded up to 8) corpses per cubic meter, according to Mattogno’s calculations. Based on body measurement index data, information about the average height of persons at the time and the fact that the Jews of eastern Poland – where most deportees to Belzec came from – can be assumed to have been "ill fed and even starving" (Provan) prior to their deportation, I argued that 43 kg for the two adults and 16 kg for the child was a more realistic weight composition than that proposed by Mattogno for each group of three people deported to Belzec. This leads to an average weight of (43+43+16)/3 = 34 kg and a possible concentration of corpses in mass graves, according to Mattogno's formula, of 420 ÷ 34 = 12.4. Whoever should manage to demonstrate that my above-mentioned calculations are unrealistic will further have to deal with the ensuing calculation model in my rejoinder, which takes into account the important fact that the corpses were not all placed in the mass graves at the same time and accordingly in different stages of the decomposition process in open mass graves, and that grave space could thus be "recovered" and used to fill in more bodies throughout the camp’s operation due to the fact that the decomposition process reduces a corpse to much less than its original size. For this somewhat complex model, which is explained in detail in my rejoinder, I assumed not the concentration of 19.51 corpses per cubic meter that I had calculated before, but the concentration of 14.8 corpses per cubic meter that I had calculated in my original article. I also considered not the documented number of Belzec victims (434,508) but the higher number of 513,142 that results from adding the figures in Yitzhak Arad’s table of Deportations to Belzec, as I didn't have the necessary data for a day-by-day model breakdown of arrivals at Belzec for the lower figure proven by documentary evidence. 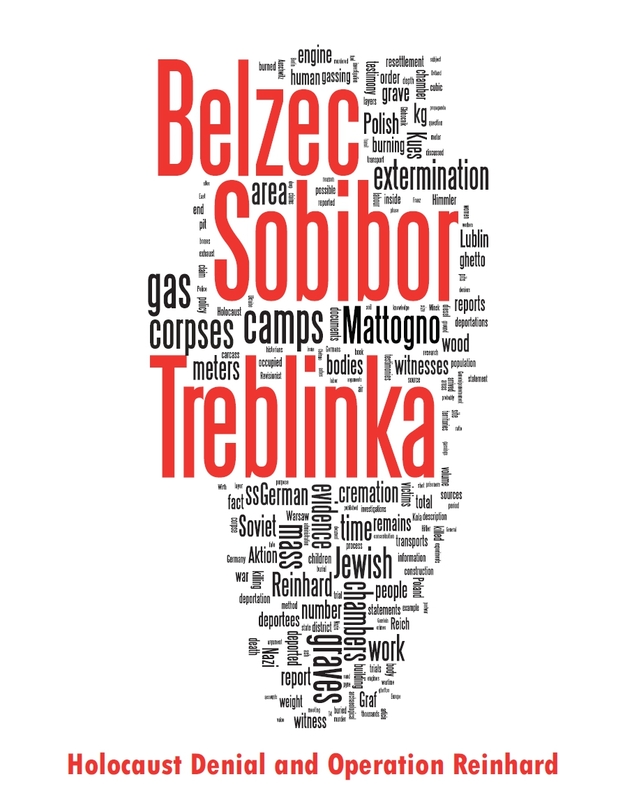 The end result of calculations in the above table is that by 8 December, with a total of 513,142 people killed and buried at Belzec, mass graves with a total burial capacity of 10,401.13 tons (i.e. all graves identified by Prof. Kola except for the small ones I considered crematory graves) have been put to use and 9,759.56 tons of body mass have been buried in these mass graves, i.e. not all of these mass graves' burial capacity has been used and another 641.57 tons of body mass could still be buried in them (the situation where 100 % of all burial graves’ capacity is used would be reached with an average weight of bodies older than 50 days of ca. 18.42 kg instead of the assumed 17 kg). The total volume of all burial graves is 20,670 cubic meters, i.e. 513,142 dead bodies have been buried in 20,670 cubic meters of burial space, a concentration of 24.83 bodies per cubic meters. The number of bodies that could have been buried in the same graves at a concentration of 14.8 bodies per cubic meters, i.e. if all bodies had been buried at once with their average life weight of 34 kg or maintained that weight throughout the camp’s period of killing and burial operations, would have been merely 305,916. Leaving the graves open as long as possible and thus taking the best possible advantage of the decomposition process, it was possible, in this model scenario, to bury an additional 207,226 bodies, i.e. to increase the burial capacity by 67.74 %! The total body mass mentioned above, 9,759.56 tons (10,401.31 tons if bodies older than 50 days weighed ca. 18.42 kg instead of 17 kg on average) corresponds to 60,950 corpses or 11.88 % of the total with a "dead for up to 50 days" – weight (which is unrealistically assumed to be equal to the life weight) plus 452,192 bodies (88.12%) with a "dead for more than 50 days" – weight (which is assumed to be half the life weight). Applying this relation to the 434,508 deportees mentioned in Höfle’s message to Heim of 11 January 1942, we would have 51,610 corpses with a "dead for up to 50 days" – weight plus 382,898 corpses with a "dead for more than 50 days" – weight. The total weight of these corpses, depending on whether one considers 17 kg or ca. 18.42 kg as the average weight of decomposed bodies (more precisely: bodies beyond the longest duration of Butyric Fermentation in the open), would be 8,264.01 or 8,807.25 tons – 79.45 % % or 84.68 % of the 10,401.13 tons established as being the available capacity of all burial graves. Whoever considers the assumed concentration of 14.8 bodies per cubic meter prior to decomposition to be too high is welcome to do my calculations with the 12 bodies per cubic meter that result from applying Mattogno’s formula to an adult+adult+child group with weights that are realistic for ill-fed Polish ghetto Jews in 1942. I submit that the surplus grave space will be smaller but the conclusion will still be that 434,508 corpses could be buried in 20,670 meters of grave space (i.e. the 21,310 cubic meters established by Prof. Kola minus the volume of small graves that I considered to have been used only for burying cremation remains but never for burying whole corpses) at Belzec extermination camp, under the particular conditions in which this grave space was used and with the volume and weight that deportees to Belzec must be realistically assumed to have had. Now to what "Dalton" considers the most ridiculous of my arguments, the one that "as little as a 1-to-1 ratio (wood to corpse mass) would suffice to burn the bodies down to pure ash" when burning corpses on a metal grid. The largest of the craters produced by explosions (numerous fragments attest to the fact that these explosions were set off by bombs), which is at maximum 6 meters deep and has a diameter of about 25 meters – its walls give recognizable evidence of the presence of a large quantity of ashes as well as human remains – was further excavated in order to discover the depth of the pit in this part of the camp. Numerous human remains were found by these excavations, partially still in a state of decomposition. The soil consists of ashes interspersed with sand, is of a dark gray color and granulous in form. During the excavations, the soil gave off an intense odor of burning and decay. At a depth of 7.5 meters the bottom was reached, which consisted of layers of unmixed sand. At this point the digging was stopped here. The parts of the body that had burned but had preserved their natural shape were put into a special mortar and pounded into flour. This was done in order to hide the traces of the crimes committed. Later on the ashes were buried in deep pits. Second, as Mr. "Dalton" well knows, I didn’t categorically claim a wood weight to corpse/carcass weight of 1:1 ratio in my blog Carlo Mattogno on Belzec Archaeological Research - Part 4 (2), which is part of the article that "Dalton" refers to in his book as "Muehlenkamp 2006a". I considered both a ratio of 1:1 and a ratio of 2:1. The former was based on information related to air curtain incinerators that I obtained from a major manufacturer of these devices, the latter on the IAEA paper Burning of carcasses by Mercer J.A., Hesketh N., Hunt J., Oughton D.H. (a source that "Dalton" lamely derides as a "vague online article" in footnote 5 on page 129 of his book) and my own calculations converting the fuels mentioned in the IAEA article into BTU equivalents in order to establish the wood weight equivalent of all these fuels. "Dalton" has no better argument than to call this calculation "less than convincing" in the aforementioned footnote – never mind that my method is akin to that applied by his fellow "Revisionist" Heinrich Köchel in an article discussed in my blog Belzec Mass Graves and Archaeology: My Response to Carlo Mattogno (4,2). In that blog I provided further sources pointing to a 2:1 ratio in burning animal carcasses, including but not limited to Chapter 3 of the FAO's Manual on Procedures for Disease Eradication by Stamping Out. I also mentioned sources pointing to a much lower wood weight to corpse weight ratio, including descriptions of an innovative type of funeral pyre that has been applied in India, known as the Mokshda Green Cremation System (see the links in footnote 203 of my aforementioned blog) and the writings of German engineer Wilhelm Heepke about cattle-burning experiments conducted by two German veterinarians, Dr. Lothes and Dr. Profé, in the early 20th Century (see the links in footnote 204 of my aforementioned blog). Having recently obtained copies of these two German veterinarians' articles about their experiments, I could confirm not only that they had indeed achieved wood weight to carcass weight ratios below 1:1 in their experiments of burning carcasses on metal grids over or inside pits, but that the result of their experiments, as I had previously assumed and contrary to Mattogno’s reasoning, had indeed been a complete combustion of the carcasses. See my blog Animal Carcass Burning Experiments by Dr. Lothes and Dr. Profé. So it seems that you can indeed achieve wood weight to carcass/corpse weight ratios lower than 1:1 when burning animal carcasses or human corpses on a metal grid, provided that you do it right (in the burning of 6,865 corpses from the Allied bombing of Dresden on 13/14 February 1945, the ratio may have been even lower, as I pointed out in a comment after another of my blogs, in response to some "Revisionist" character's marveling at the very small amounts of wood that could be seen on photographs of the Dresden cremation grids). If you apply an inadequate procedure or even mess up, you will of course expend much larger amounts of fuel without achieving the desired results (which seems to have been the problem at Treblinka before cremation expert Herbert Floss worked out the proper way of burning corpses on a grid, see my blog Historiography as seen by an ignorant charlatan …). This means that, if my arguments about corpse burning do any harm to my credibility, I am in the good company of, among others, the experts writing for the IAEA and the FAO, the inventor of the Mokshda Green Cremation System and, last but not least, German veterinarians Dr. Lothes and Dr. Profé, who can be considered the pioneers of efficient carcass burning on metal grids. Let’s see what Mr. "Dalton" has got to show for his "500-1000 pounds of wood, under ideal conditions" – other than Mattogno’s unrepresentative garden experiment with small amounts of flesh, the (deliberately) botched lamb-leg-burning exercise of his pal "Denierbud" that I discuss in "Muehlenkamp 2006b", and perhaps the showpiece of wholesale incompetence known as the Epynt disaster. Mr. "Dalton" is requested to expand about what negative influence the bodies being "partially decomposed and perhaps frozen" (partially or wholly decomposed – true regarding the majority of corpses burned at Belzec and Treblinka; "perhaps frozen" – not necessarily even as concerns Belzec, where unearthing in all probability started already in November 1943 and many bodies were lying deep underground in what were probably open graves) is supposed to have had on the burning of the corpses, namely the fuel requirements. In the Epynt enquiry report, which can be downloaded as a Word document on the Latest news page of the site, the deterioration of the corpses is mentioned as one of the reasons for the duration of the process and the outrageously high fuel requirements. I consider that counterintuitive insofar as dehydration in the latter stages of decomposition favors cremation, also but not only because it reduces the mass to be burned, and the positive effect of dehydration on the "thermal balance" would only be offset if the carcass/corpse lost fat at the same rate as it loses water – something I think is unlikely, apart from fat breaking up into substances that are also flammable (see my blog Belzec Mass Graves and Archaeology: My Response to Carlo Mattogno (4,2) for details). It is more probable, in my opinion, that the Epynt disaster was due to other factors also mentioned in the enquiry report, namely the carcasses being "mixed with mud and stones" and the wholly inadequate configuration of the pyre. I think I have thus demonstrated that my arguments regarding corpse/carcass burning are at least defensible and not nearly as "ridiculous" as straw-man-toting Mr. "Dalton" would have it. Even if I were dead wrong in this respect, this would of course not necessarily affect my credibility in other respects, contrary to the kind of "logic" that also considers an eyewitness unable to correctly describe the fuel he carried to the gassing engine because that witness misunderstood the mechanics of the gassing process. As to Mr. Dalton, the term "credibility" is one that he should avoid using, for what credibility he may have had started diminishing (to put it politely) by the hypocritical claims of impartiality at the beginning of his book, discussed in my blog Old Herrings in a New Can: Thomas Dalton’s Debating the Holocaust (1), and has been on a downhill ride ever since. Lastly, I find it extremely odd that many of the bloggers 'solutions' to revisionist challenges do not appear in published, authoritative sources on the Holocaust. It is as if their fellow traditionalists are completely unconvinced. There will soon be published the newest ‘authoritative’ book, The Holocaust, by Peter Longerich. I am anxious to see how many, if any, of these issues he addresses. Apparently it hasn't occurred to Mr. "Dalton" that few if any "authoritative sources on the Holocaust" even care about what he and his fellow "Revisionists" have to say, which means that such sources also don't follow the refutations of "Revisionist" nonsense by folks like my fellow bloggers and me. The only academic source that to my knowledge currently pays closer attention to "Revisionist" claims is the Holocaust Denial on Trial site of Emory University. On its Learning Tools: Myths and Facts page, namely in the chapters "Mass Graves" and "Mass Incineration", one finds a number of arguments that have (also) been presented on the Holocaust Controversies blog, and some of our articles are referred to. It might be an idea to propose some form of cooperation to the webmasters of this site. As to Mr. Longerich's upcoming book, chances are that Mr. "Dalton" will again see that Holocaust scholars rarely consider "Revisionists" worth the attention that these people are desperately yelling for. The self-important "scholars" of the "Revisionist" movement will have to make do with their detractors of the blogosphere, who are already too much for them to handle anyway. Update, 06.10.2010: Former SS-man Franz Hödl gave his testimony before a court in Linz, Austria, not before a German court. Thanks to Jonathan Harrison for pointing out this error. I just deleted a post with a link to a glamour girl site. Again, I have nothing against glamour girl sites provided that the models are over 18. They just don't belong here. The girls may be cute, but another post with a link to a glamour girl site follows its predecessor into the ether. All future posts like this will be deleted without comment. Why do we pay so much attention to the ravings of Hitler wannabes?